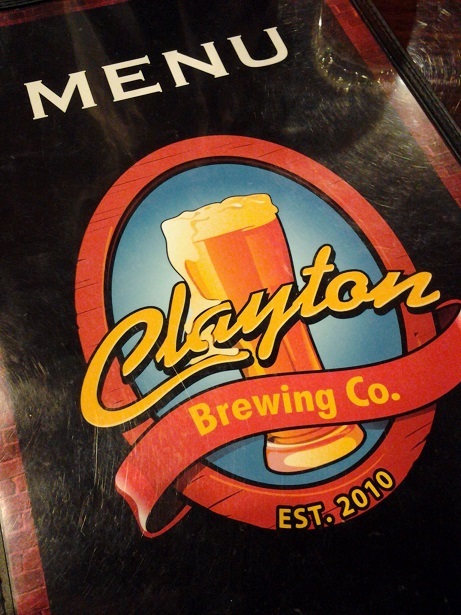 Restaurant of the Week: Clayton Brewing Co.
Clayton was the site of a recent birthday dinner among a group of my friends, which offered the chance to get the opinion of multiple people. 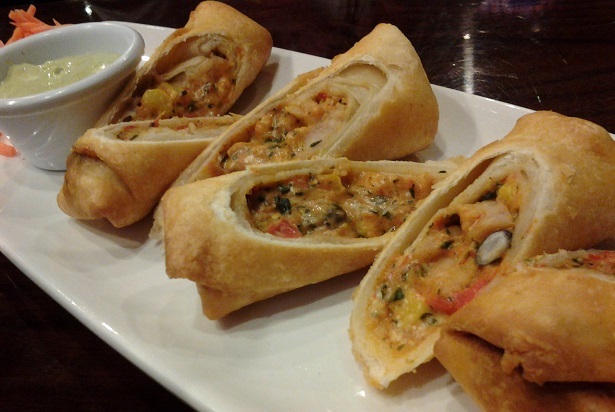 It’s a gastropub near the 57 Freeway in a center that also has a Boot Barn and Red Robin. While they serve beer and wine, and there’s a bar, Clayton is open only until 10 p.m. daily (8 p.m. on Sunday), so it feels more like a restaurant than a bar. Indeed, the brightly lighted interior was sedate on a Friday night last month, most tables filled, sports unfolding silently on the TVs, people enjoying themselves, but not too much, if you know what I mean. 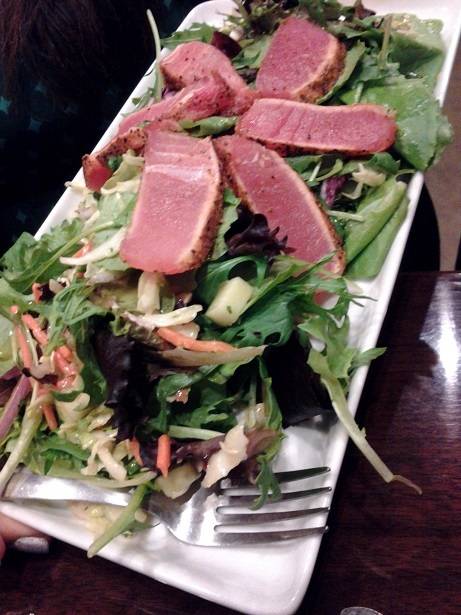 Among the items we tried: white truffle garlic parmesan cheese fries ($8), addictive; wings ($9.25), scarfed up by a wings connoisseur; seared ahi salad ($13, below), which the foodie whose birthday it was really liked; Santa Fe rolls ($9, bottom), deemed good, but bready; lobster burger ($13), grilled lobster with slaw and bacon, which got a mixed review, great for the sandwich, but poor for the soggy bun; and a half-sandwich (chicken caprese, dull) and soup (lobster bisque, rich; combo $10). They brew their own beer, with the Mt. Baldy Blonde and Hop Stompin’ IPA said to be pleasant surprises, very tasty; they also offer microbrews. Service was friendly and patient with our large group and our separate checks. It’s not Back Abbey, but Clayton, discovered through a Yelp search, was a good find. The key to any great brewery/restaurant rests in the quality of its Dallas ice machines. That’s the only way to ensure the freshest product.